n January, we announced that one of our goals for 2019 was to improve communication; communication between the Grand Encampment and its constituent and subordinate Commanderies, communication between Grand Commanderies and their constituent Commanderies, and communication between Commanderies and their members. Last month we discussed improving attendance and the retention of members by improving your members’ Templar experience – giving your members something of equal or greater value than the time they are investing with you. In the same vein, we encouraged local Commanderies to communicate regularly with their members and to inform them about the exciting events occurring at their Commandery and what those who do not regularly attend are missing. This doesn’t have to be elaborate or expensive. A newsletter, preferably sent electronically, is inexpensive. If you maintain regular communication with your members, they are much more likely to remain involved in your Commandery. At the Grand Commandery level, we encourage each Grand Commander to take advantage of the monthly supplement. The Grand Encampment, in effect, gives each Grand Commander the opportunity to communicate with each of his Sir Knights free of charge monthly. We are striving to enhance communication at the Grand Encampment level through continuous improvement of the website, the provision of relevant information at department conferences, attendance at annual conclaves, and via the Knight Templar. 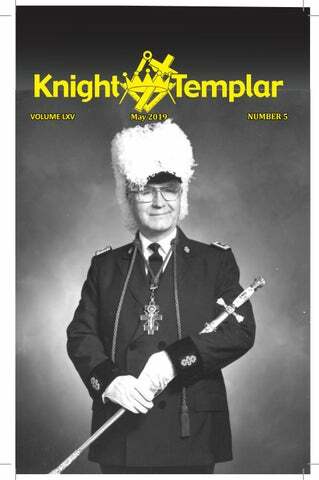 Speaking of the Knight Templar, we think it is the premier monthly Masonic periodical. However, it is also enormously expensive to deliver to each Sir Knight every thirty days. This is the primary rationale for the development and implementation of the Knight Templar mobile app. 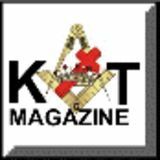 The mobile app enables the Knight Templar to be accessed instantaneously from anywhere on the planet and makes it much more cost-effective to make the magazine available to our members who are not in the United States. The next step will be to make the Knight Templar available in all major languages spoken within the Grand Encampment. The Knight Templar will remain available in print. However, if you like the mobile app and would prefer to discontinue receiving the magazine by mail please contact the Grand Encampment office. s Knights Templar, this is a familiar text to us and on the surface appears to be a pretty straight forward admonition on how to act. However, it also brings some interesting questions to us as Christians. For example, later in the Sermon on the Mount, from which this text is taken, Jesus tells the people assembled not to let others see their piety. He tells them to wash their faces when fasting, to pray in secret, and to give alms in private. Why then would he tell us to let our light shine so that others would see our good works? Isn’t the whole point of doing things in private designed not to be show-offs in public? I am a Lutheran pastor, so I get a little uncomfortable talking about good works in general. After all, it is the teaching of Martin Luther that we are saved by grace through faith and not by our works. Maybe, just maybe, it is Jesus’ intent here to encourage people to step forward as exemplars to others. After all, Jesus is the Light of the world, so why do we need more candles to be lit anyway? Perhaps, in showing our light to others, we add to the brightness of the Light of the world. We also bring attention to the actions we are taking which serve as examples of faithful witness to the call to be “little Christs” to our neighbors. Let us continue to do our good works and act in faithfulness to our call as Christians and defenders of the faith. Let our light shine, not to bring attention to ourselves or the specific acts we are doing, but as a sign of our love and faithfulness, our fervency and zeal, to the Christian faith and the gift which we have received from God through our Lord Jesus Christ, who took all the sins of the world so that we may not only be freed from our sins, but live an abundant life as witnesses to His great mercy. Let us walk-the-walk and be Knightly daily. Sir Knight James Marples is a life member of Mt. Olivet Commandery 12 in Wichita, Kansas, and currently resides in Texas. He can be contacted at rosehillks@yahoo.com or 1300 Greenbriar Drive, Longview, TX 75604. Source The Rosicrucian: A Quarterly Record with Notes on Freemasonry. No.XII, Published 12 April 1871.Printed by Thomas H. Hearn, London, England. The photo above is of Valletta, Malta, and was taken by Sir Knight Frank Richard Brown. charity, make haste to do, because the last moment may be upon you. They who have given food to the hungry, clothes to the naked, and instruction to the ignorant, shall be numbered among the blessed of the Father. Sir Knight Robert W. Bruneau is a past commander of Commandery 38 in Gulfport, Mississippi. He can be contacted at rwbruneau@yahoo.com. n The Footsteps Of Jesus Holy Land Pilgrimage for Sir Knights, their Ladies, friends, and guests is open to anyone. Each person is responsible for his own fees and expenses related to the pilgrimage. This pilgrimage is an eleven day program that covers as much ground as possible in the touring days (we average five to seven miles of walking many days, often uphill or up steps and on uneven surfaces). For those who are less ambitious, consider the Senior Pilgrimage in November of 2020. The In The Footsteps Of Jesus Holy Land Pilgrimage is scheduled in mid-November on each odd numbered year. The 2019 Footsteps Of Jesus Holy Land Pilgrimage for Sir Knights, their Ladies, friends, and guests is completely sold out. Consider the Senior Pilgrimage in November of 2020. He entered Eastern Kentucky University upon retirement from the army and graduated with honors in 1966, subsequently earning a master of science degree in criminal justice. He was an assistant professor of Police Administration and the University registrar of his Alma Mater when he retired in 1985. He was a past officer in Phi Kappa Phi National Scholastic Honor Society and in Phi Delta Kappa, Professional Education Fraternity. He was preceded in death by his wife, the former Kathleen Virginia McCallum of Detroit, and their daughter, Susan Burks Smith. He is survived by their two sons; the Reverend Donald H. Smith, Jr., and Mark M. Smith. Sir Knight Smith was a deacon onald Hinslea Smith was born in Cleveland, Ohio, and grew up in Detroit, Michigan, where he was educated in the public schools. He began his career life simultaneously with the beginning of the Second World War, serving from the week of Pearl Harbor until he retired as a lieutenant colonel in April of 1964. He served as a combat infantry officer in Europe in 1944 and 1945, and in 1946 he transferred to the Military Police Corps, the branch in which he was serving when he retired. His service included the Korean Conflict and Vietnam. He was decorated for bravery and for meritorious service. Mosaics found in ancient Roman ruins in Jordan. Photos taken by the editor. Sir Knights, we can help alleviate some of the stress for those we are leaving behind. This is an opportunity to serve the ones we love one final time. Sir Knight Billy Hamilton is a member of Worth Commandery 19 in Fort Worth, Texas. He can be contacted at bhamiltontx75@gmail.com. have read numerous commen- know it. When Christ died and the veil taries on Freemasonry but have was torn, we no longer needed to aponly recently discovered this bla- peal to the high priest to talk to God tantly obvious explanation of one of the but now had the ability to appeal to most humble and all-inclusive aspects of God through prayer. We were each Templar Masonry, the Lord’s Prayer. given the power contained in knowing We recite this prayer every meeting the unspoken name of God, whether at every Commandery across the globe, we realize it or not. but what exactly is it saying to us? The Thy kingdom come - We are asking Bible explains that we are to pray in this God to reign over our hearts and minds. manner. We are first led toward it at the We are anxiously awaiting for the day chamber of reflection where we go into when the “mountain of the Lord’s house a room to pray to the Father, and He shall be established in the tops of the promises to reward us for what we do in mountains” and the world is filled with secret. The reasons are as follows: his glory. Our Father who art in Heaven - We here address our Heavenly Father, just as we address one another. This may have been a precursor to the death of Christ, when He became the ultimate sacrifice and tore down the traditional pathway to God, thereby informing his disciples that they may speak directly to God. This must have been very new to them. They were following the Son of God but He was directing them to speak directly to the Father. Who art in Heaven signifies where God resides and displays His glory. This teaches us to look upward in prayers, to the place where heavenly mansions are prepared for the faithful followers. Thy will be done - We are declaring that the will of God will be performed. Just as we are taught “may we so faithfully serve the Master, that having passed through the portals of the grave we may receive from His hand the crown of victory, while we exclaim ‘not unto us, oh Lord, not unto us, but unto thy name give glory.’” We are committing to obey the law of God and to keep his commandments. the purpose (logos). This is one example of how the lessons of the degree of Secret Master may be applied. The lessons taught in the 4th degree lay the foundation for the succeeding degrees in Scottish Rite. The application of the Kabbalistic tree shown in the 4th degree is also applicable to any study or pursuit. In your own studies, you might dicover a deeper meaning than what has been written here. You may accomplish greater deeds. That is for you to determine. “It is the glory of God to conceal a thing: but the honour of kings is to search out a matter.” Proverbs 25:2 Sir Knight Michael Feld is past commander of Huntsville Commandery 7 in Alabama. He can be reached at mfeld2009@gmail.com. Mrs. John Sutter, worthy president of Cleveland 15, and Mrs. John Mashburn, worthy president of Columbus 79, presided over a joint official visit of Supreme Worthy President Kim Burnett. The sisters of these two assemblies enjoyed the gathering of both assemblies. Mark Lawrence, Making A Daily Advancement, Lewis Masonic Publishers, 2018, 269 pages, ISBN:978-0-85318-556-7.
lowed to assist in the serving of brethren during the open lodge.” The book is very similar in format to that authored years ago by the late Brother Alphonse Cerza, titled A Masonic Thought for Each Day of the Year. Both books would make a great addition to your Masonic library. I found the book entertaining, informative, easy to read, and it answered several questions that had arisen in my mind over my fifty-year Masonic journey. As a reviewer, of course, I had to read through the entire book in a week or so, but I now plan to go back and re-read it as the author intended. I look forward to the experience! All Proceeds go to the Knights Templar Eye Foundation!